I actually started off the morning hoping to make bacon wrapped peach, arugula and feta pockets, but my search for good quality bacon came to a halt when I didn’t find my favourite smoked back bacon. I decided to move to plan B, a simple crunchy salad to go with my veg packed au gratin. 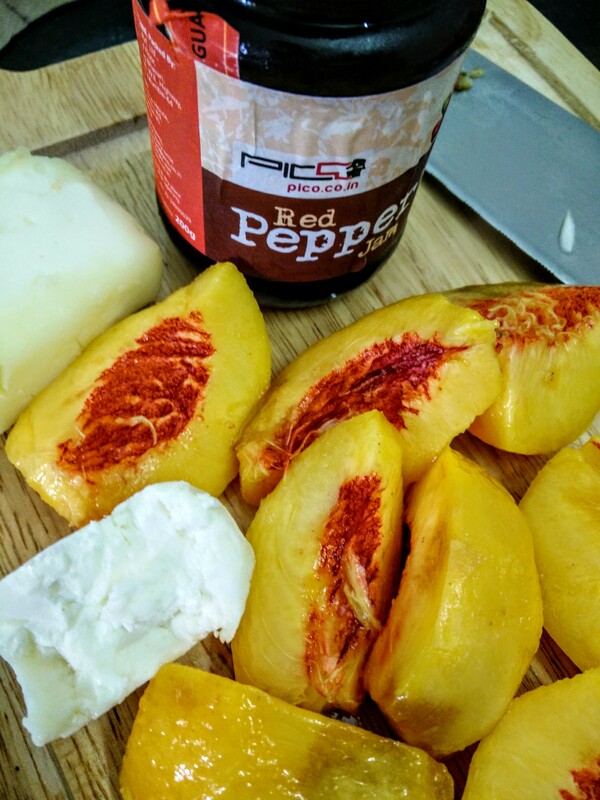 Some of the ingredients: I’ve made life simpler by using a ready-made Red Pepper Jam this time, but you could make your own too! 1. In a flat dish, arrange a mix of the seasoned greens. 2. Add a layer of the pickled onions. 3. 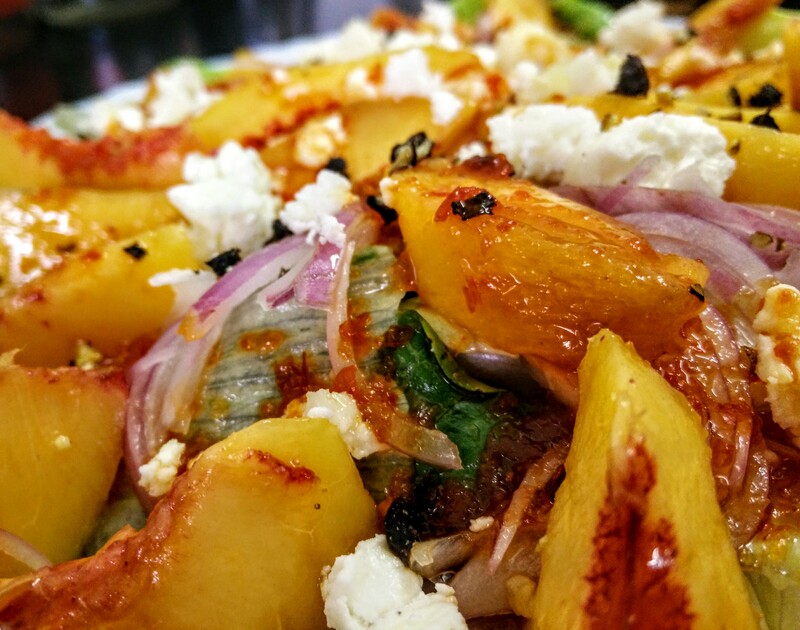 Top this with the fresh peach, and sprinkle feta all over it. 4. 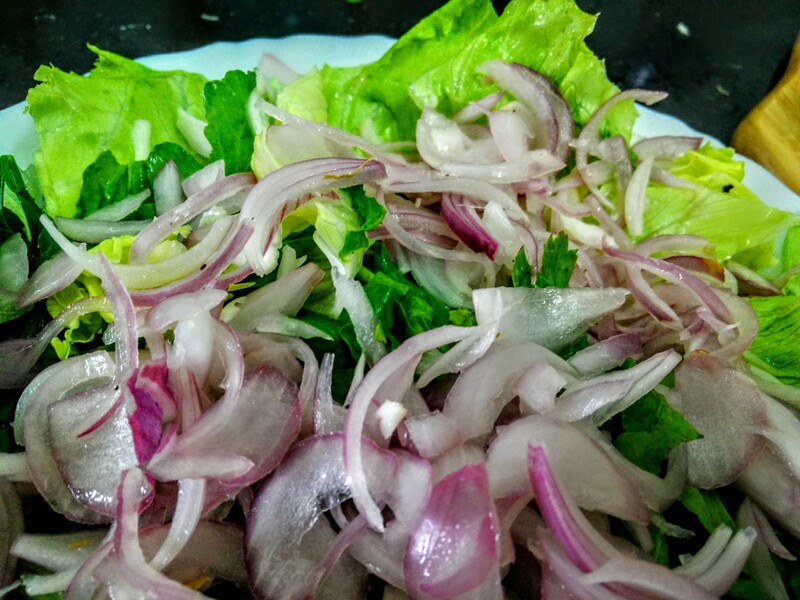 Just before you serve the salad, pour the marinade all over it. Crack some black pepper. 5. Best served with a creamy au gratin or grilled meats and fish. The spice from the Red Pepper Jam, the saltiness of the feta, the crunch of the greens and the sweet-sour peach, makes it a perfect accompaniment for most grilled dishes, au gratin or even a Cheese Souffle.